Local Citizen who was a suspected thief gets beaten to death in Bihar. 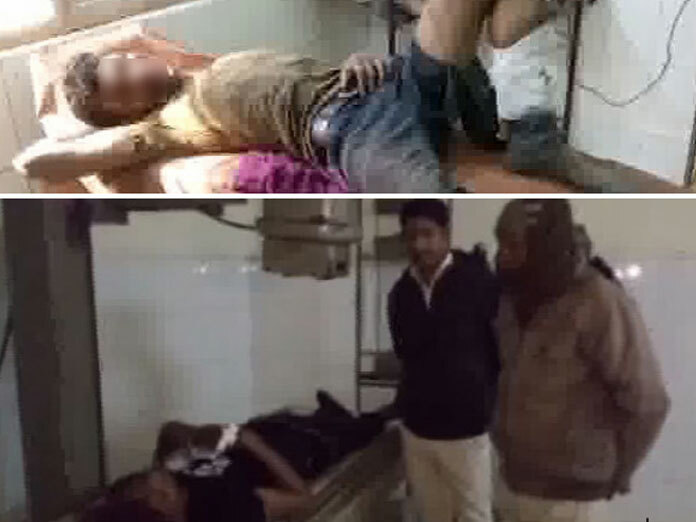 Bihar: A local citizen was beaten to death by a group of people, he was suspected to be a thief. On Wednesday night, the suspected thieves were seen being kicked and being beaten up by sticks. Two of them managed to escape but the remaining three were brought to the nearest hospitals after 2 straight hours of beating, doctors say they are in a critical condition. A man can be seen in a video lying down with a broken arm and leg, he also has a lot of bruises on his body. Bihar Police said they are investigating the crime, and are searching for those who were involved in the said incident.